As I have written elsewhere on this site, one of the enduring pleasures of living in San Diego is the tremendous access we have to wonderful ethnic foodstuffs. But it is not just Mexican ingredients to which we have such ready access. Within only a few miles from my house I can find just about any Asian ingredient I want or need. 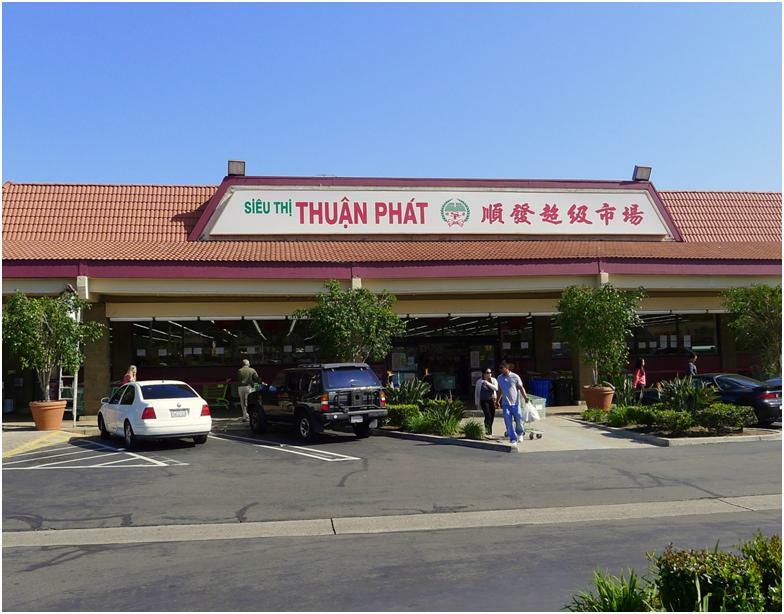 The Asian Market that we frequent most often is Thuan Phat market on Linda Vista Road. There are several reasons for this. One of those reasons is the location: it is close to Francis Parker School where our daughter goes to High School. But the most important reason is this: it is really good. The meat selection at Thuan Phat is easily as good as anything short of a full-blown butcher shop. And the prices are uniformly good. 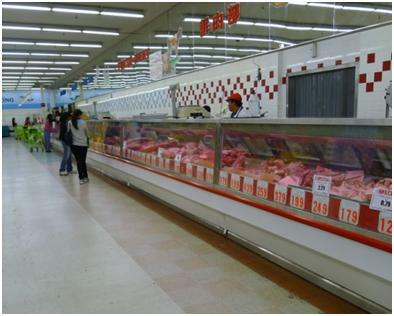 It is not unusual to find filet mignon for less than $7.00 per pound at rib eye for less than $4.00 per pound. The quality of the pork, in particular, is excellent. And it is easier to find stock bones than at most non-Asian markets. 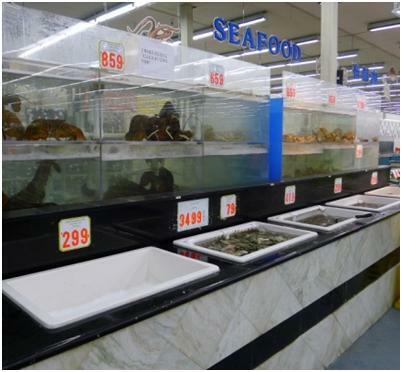 Another of the features of Thuan Phat is the Seafood department. The selection of shellfish — including live lobster and crabs as well as several kinds of shrimp — is nearly matched by the whole fish which the employees will clean and cut up for you to order (with some limitations). Thuan Phat’s Produce section is a bit more quirky, though no less useful. 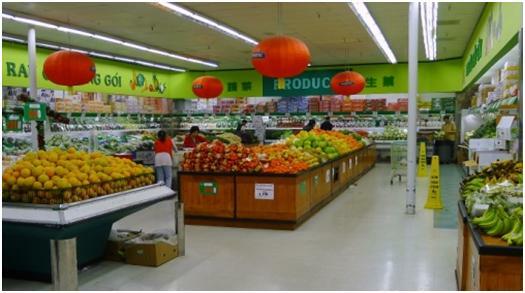 Unlike the meat department — which has as much of a selection of beef and better options for pork and chicken (and, if you’re willing to buy frozen, add in lamb and quail and even venison) as any Albertsons or Vons — the vegetable options in the Produce section are more Asian-centric. While there is every Choy imaginable on offer, the Western produce is somewhat less well represented. You will not find Kale or Chard. tomatoes are inexpensive though hardly beautiful. But you will find onions for less than $1.00 per pound, shallots for $3.00 per pound, peeled garlic, great fruit selection and much more. Trips to Thuan Phat should not be limited to preparing for Asian meals. It is and can be used as pretty much an all-purpose market. But if you are gathering ingredients for an Asian meal — whether Chinese, Vietnamese, Thai, Korean or even Japanese — you can hardly do better. 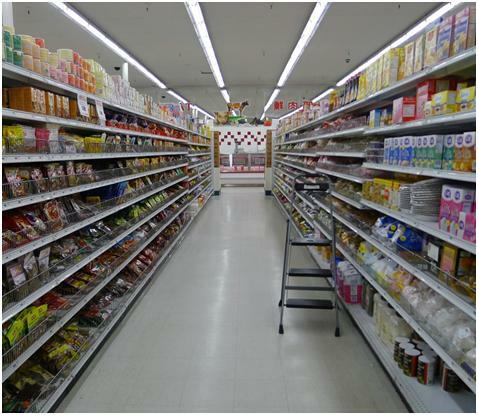 Every sauce, stock, spice blend or specialty ingredient that you could possibly need can be found in Thuan Phat’s aisles. Thuan Phat is a fun diversion even if you do not plan to shop there. But it is even more fun, more tasty, and more thrifty if you make it — as we have — a part of your every day life.